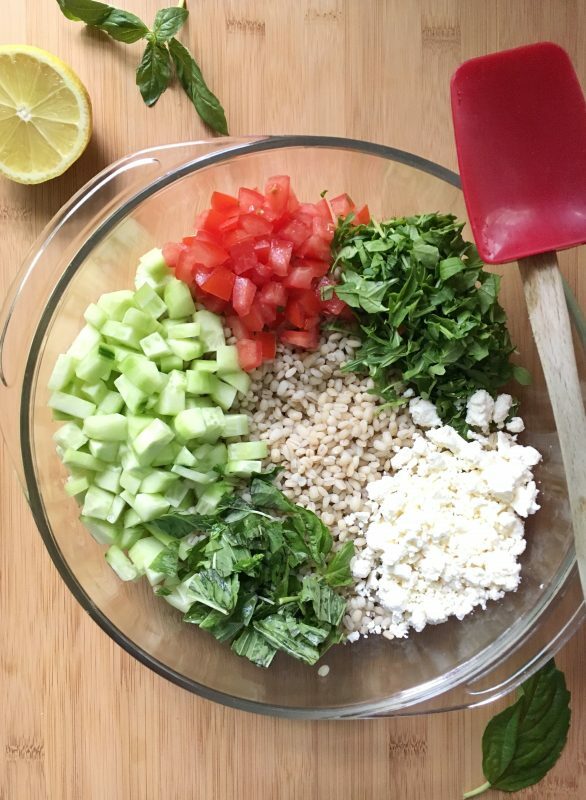 Whole grain barley is the canvas for this fresh and flavorful summer salad that’s so easy, your kids (from toddlers to teens) can help. It’s made with English cucumber, tomato, arugula, basil, crumbled feta cheese, and a simple dressing of extra virgin olive oil and lemon juice. You can serve this salad as a side dish or top with grilled chicken or fish for a main. Get your kids cooking by having them rip the basil leaves, mix up the dressing in a Mason jar, or dice the cucumbers. 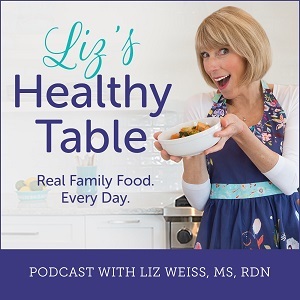 I dish about this dish on this week’s Liz’s Healthy Table podcast. 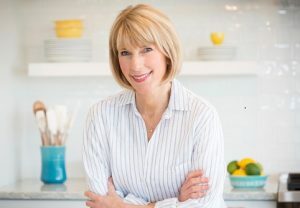 The show features an interview with kid’s cooking expert, Diana Rice, RD, and together, we shared this recipe. Click the player button below to listen to the show. The secret to getting kids excited about this salad is getting them involved in making it. 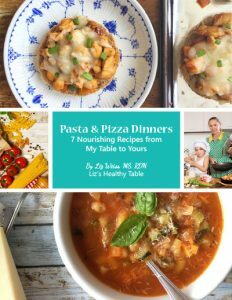 And by cutting the veggies and herbs into tiny pieces, they’re even more likely to love it. It takes the intimidation factor away. 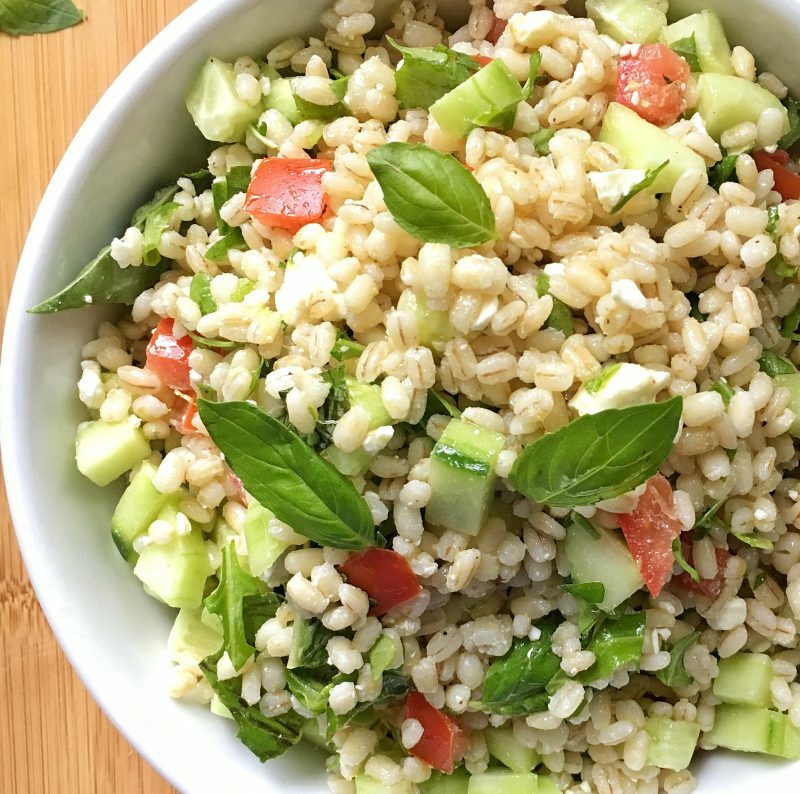 This simple salad begins with 10-minute barley. I happen to have a Trader Joe's in my town, which is where I find 10-minute barley, farro, and bulgur. If you can't find the 10-minute barley, look for pearled barley at the market. 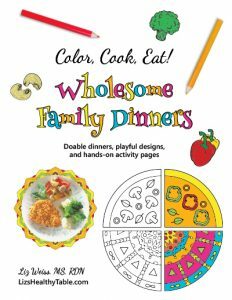 It cooks up quicker because the outer hull has been removed, and it's an easy way to get more whole grains into your family's diet. Cook the barley according to package directions. Drain and transfer to a large bowl. Cool. Stir in the cucumber, tomato, arugula, basil, and feta cheese. 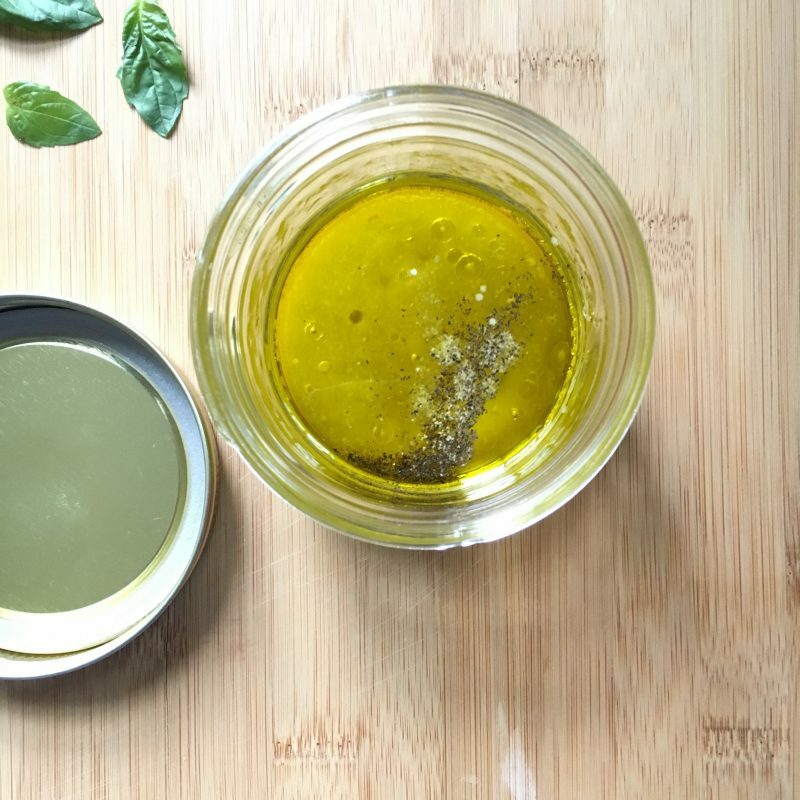 Place the olive oil, lemon zest, and lemon juice in a small Mason jar. Shake until well combined. Add to the barley mixture, stir until combined, and season with salt and pepper to taste.